There is a strong argument that 'modern' secondary world fantasy was born in 1977 with the publication, within just a few weeks of one another, of Lord Foul's Bane by Stephen Donaldson and The Sword of Shannara by Terry Brooks. This came around the same time of the eruption in popularity of roleplaying games, spearheaded by the mighty Dungeons and Dragons, created by Gary Gygax and Dave Arneson and which first appeared on shelves three years earlier. The modern secondary world fantasy novel and roleplaying in general (and D&D in particular) have thus grown up together, but the degree to which they have fed off one another is debatable, and a topic for another discussion at another time. "No, you have the wrong address, sorry, I'm sure they're lovely swords but I don't want to buy one. Why? Because I'm a fricking dragon." Virtually all writers of modern secondary world fantasy have dabbled with roleplaying games, although broadly they fall into two separate categories: authors whose roleplaying experiences have led directly to their fiction (such as Feist and Bakker), and those who haven't (such as Jordan and Williams). The modern fantasy author most frequently referenced with regards to his fiction beginning in gaming is Steven Erikson. Erikson and his colleague Ian Cameron Esslemont created the Malazan world in 1982 whilst playing a campaign using the Advanced Dungeons & Dragons, 1st Edition rules. In 1987 they switched rulesets to GURPS (Generic Universal Role Playing System, created by Steve Jackson), preferring the more freeform and adaptable rules provided by the latter and the ability to create their own magic system rather than using D&D's (which, in truth, was not Gygax's creation, instead being lifted wholesale from Jack Vance's Dying Earth books). In response to the frequent questions about how exactly gaming influenced the development of the Malazan world, Erikson has recently posted a blog entry on the subject. 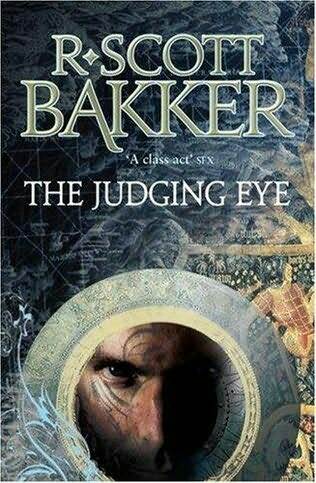 The blog entry is about one of Erikson's favourite subjects, namely how the Malazan series bucks trends and fights against the enemy and is doing it's own thing for itself and so on. This time around, though, the timeline (ha!) at least makes more sense, with Erikson stating that the fiction he is railing against was the more cliched work published in the 1970s and 1980s and how a lot of the epic fantasy material published back then sucked (Stephen Donaldson and Glen Cook excepted), which is a not entirely unreasonable position (although I'd love to know if he'd read any David Gemmell, or, especially, any of Hugh Cook's demented Chronicles of an Age of Darkness mega-series). The disassociation between Erikson's view of the epic fantasy subgenre and the reality of it was somewhat puzzling in 1999 (when Gardens of the Moon appeared in print, a decade after it was written), let alone now, but realising he was talking about the 1980s explains a fair few things. 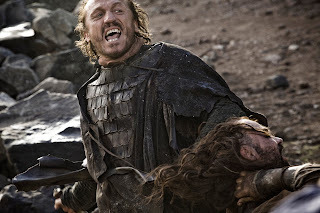 Erikson's view in the essay is essentially conflicted, which he acknowledges by pointing out the limitations of D&D-derived fiction but also the appeal of using the same tropes (and the very true admission that the Malazan book is awash with them, sometimes played straight, sometimes subverted) as a means of easing the reader into the story through familiarity. 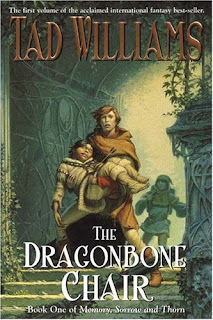 I found this admission interesting, especially since Gardens of the Moon doesn't really give the reader much else in the way of an 'easy in' to the world outside of the D&D-esque adventures of Crokus and the Phoenix Inn Regulars, or the different-but-complementary skillsets of the various Bridgeburners (or even, if only glimpsed distantly, the Crimson Guard). "Note the distinction: there is role-playing gaming, and then there is the gaming we did." The problem, of course, is that Erikson was not alone in the issues he had with the limitations of D&D. Scott Bakker, for example, created the world of his Prince of Nothing and Aspect-Emperor series for use in role-playing but rapidly developed its philosophical and metaphysical aspects way beyond that of most generic fantasy worlds. Many other players of the game had issues with it and took off to develop their own narratives or their own games not limited in the same way. 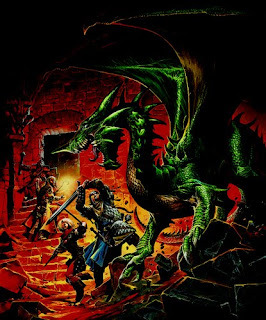 Even within the strictures of D&D, the writers and game designers enjoyed kicking back against the epic fantasy cliches with the development of the horror-based setting of Ravenloft, the post-apocalyptic fantasy of Dark Sun and, most impressively of all, the dizzying vastness of the planes in Planescape (and whenever Erikson, or any other author, knocks D&D for reasons of cliche or being generic, I just think of the official D&D computer game Planescape: Torment and ponder if the author in question has produced a work more cliche-subverting or tragic than that, and usually find the answer to be, "No, not even close,"). In fact, by adjusting and subverting the traditional fantasy setting of 'generic' D&D Erikson was doing what Gygax and Arneson wanted people to do with D&D. To use the rules to create their own stories, whether that was a dungeon crawl or a small-scale party-based adventure or a huge, Lord of the Rings-style mega-epic. Whilst much is made of the limitations of D&D's rules (particularly the arbitrary alignment, class and racial limitations of the first two editions), all of those rules were optional and subject to change. Even back in the 1980s, finding a party that didn't include at least some 'house rules' to play the game was pretty rare, running the gamut from those who just tweaked the rules (allowing dwarven sorcerers) to those who ran rules so altered and changed that they were barely recognisable from the rulebooks. So what Erikson was doing was not particularly original, although it did produce some great fiction that we've been enjoying for the past decade. "No, my name isn't Elric and my sword doesn't drink sou... Sod off. 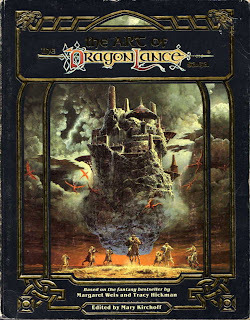 I'm going back to my flying sky castle now which absolutely did not first appear on the cover of a Dragonlance product in the mid-1980s." One of the more problematic areas of the essays emerges when Erikson reports opening the original Forgotten Realms box set in 1987 and, after ten minutes analysis, concluding that he wanted to burn it for 'not making sense'. Erikson actually expands on this in a 2002 interview with SFX Magazine, in which he identifies issues with 'all the elves and dwarves living next door to one another' and no economic explanations being given for the location of cities and kingdoms. These comments are a bit of an own goal. First off, Erikson himself often suggests that Gardens of the Moon is hard on the reader and rewards those who read on past the few hundred pages (some fans go further and suggest that people read the first three full novels - that's 2,800 pages in paperback - before making their mind up on the series). He has also talked about how little in the Malazan novels is laid out for the reader, who is instead invited to form his or her own connections and conclusions. So to rip on the Forgotten Realms (incidentally, the one world in all of epic fantasy which is perhaps the closest to Malazan in power levels, pantheonic turmoils, vast scope, an ancient history with tragic underpinnings and geography shaped by previous magical cataclysms, although little of that was obvious with the first release in 1987) on a brief acquaintance is not the best of ideas. 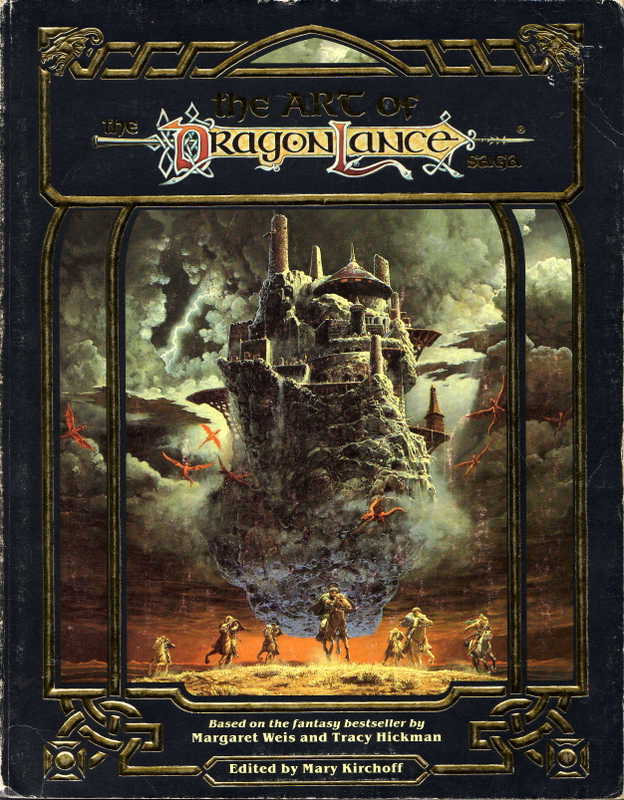 The original box set was just that, a brief outline of the world and pantheon with little space for depth, with it being reiterated several times that the game players and Dungeon Masters playing games in the setting were invited to make up their own answers to questions that were now answered in canon, or if those answers were found wanting, to make up their own. So, a city-fortress on top of a flying mountain? Interesting. And when was this? 1987? Really? The statements are even more amusing if the later developments in the Realms setting are taken into account: the vast backstories and histories explaining why the cities and kingdoms are where they are, the detailed maps showing the movement of trade goods around the continent and, under the stewardship of Steven Schend in the late 1990s, the development of the idea of kingdoms built on the ruins of other, older kingdoms (something Erikson does particularly well in Malazan) and, erm, flying sky-cities which are the tops of mountains sheered off and turned upside down (although they nicked this from a Dragonlance product ten years earlier, but that's fair enough). All of these things were possible through other writers taking on the original creation, fleshing out those elements that appealed to them and employing cliches, either straight or subverted, where appropriate and rejecting them where not. In short, the sort of thing that Erikson is laying claim to in his essay. In summary, the Malazan Book of the Fallen is one of the premier works in the epic fantasy canon, and will likely remain so for some time to come. It's challenging, vast in scope and occasionally emotionally wrenching and powerful, whilst its two creators and authors have created many impressive characters, races and stories. But something new and different, either compared to previous fantasy novels or roleplaying games? No, not really. Essays of this sort give the impression that the genre of fantasy that Erikson is talking about Malazan rejecting is a view of it consisting of sub-par D&D novels circa 1991. Which is fine but the genre (both in gaming and literature), the readers and the gamers have all moved on to more interesting pastures. 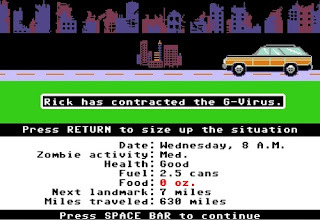 A classic, old-school 1980s computer game you may remember (if ancient and decrepit enough) is The Oregon Trail, in which you had to cross the North American continent, evading Indians, starvation and dysentery along the way. Now a zombie-themed remake has surfaced. Named, inevitably, The Organ Trail, you start in Washington, D.C. with a clapped-out motor, five survivors and some time to spend scavenging for food, medical supplies, spare parts and bullets before the government nuke the zombie-infested city. Once you're read to go, you have to cross the continent (taking an insanely roundabout route around areas of high infestation and radioactive fall-out zones from where the military has nuked high undead concentrations) to Oregon, where a safehaven has been established around Portland. Along the way you can barter for supplies, buy food and fuel from enclaves or, when desperate, leap out and scavenge for food via a little mini-game where you have to shoot zombies and grab shopping carts. The game's still in beta, so it's a little buggy, but overall it's an entertaining way of passing a couple of hours. Check it out at the link above. Hint: I overloaded on bullets, getting about a thousand, and had only used about 200 of them by the time I was overrun (about 5,000 miles into the journey, past Vegas after a roundabout route). Food and fuel are more important. In a conversation between Steven Erikson and Ian Cameron Esslemont at the World Fantasy Convention, relayed at Tor.com here, Erikson revealed that his next book will be The Forge of Darkness, the first book in the Kharkanas trilogy, set in the Tiste Andii home city of Kharkanas hundreds of thousands of years before the events of Gardens of the Moon. 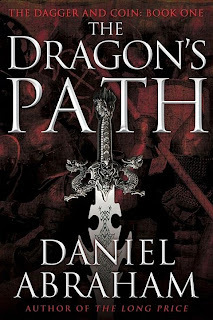 Esslemont also confirmed that his fourth Malazan novel will be set in Darujhistan, picking up after the events of Erikson's Toll the Hounds with characters like Kruppe playing a major role. The remaining two books will be set in Jacuruku and the oft-mentioned, never-seen continent of Assail. 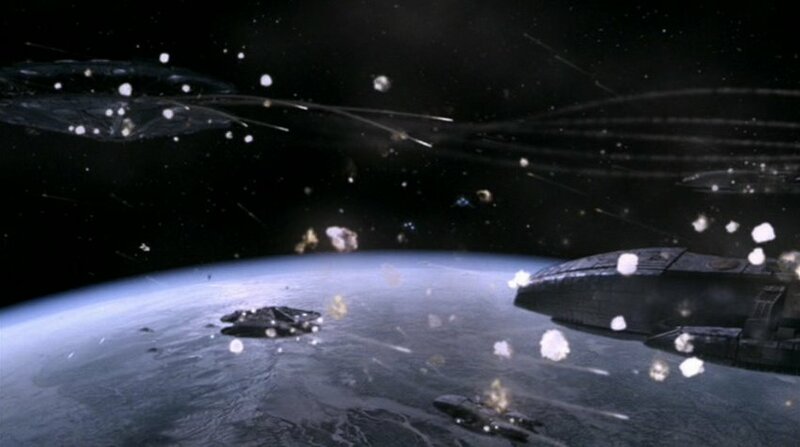 The Battlestar Galactica spin-off series Caprica has been cancelled. SyFy broke the news in the wake of disastrously low ratings for the show and a mixed critical reception after it returned from an inexplicable seven-month mid-season break (prior to which its ratings were a lot stronger). The news, coming in the wake of the commissioning of a second, more combat-oriented spin-off (with the working title Battlestar Galactica: Blood and Chrome), was not surprising. However, SyFy have taken the surprising additional step of not allowing Caprica to run its course, instead removing the show from the network after 2 November and airing the five remaining episodes 'some time in 2011'. Does science fiction need faster-than-light travel? The simple answer to that is: no, but it's fun. The slightly less-simple answer to that is no, but the number of science fiction authors, even 'hard' SF authors, who don't try to explore what an FTL-less universe would be like is surprising. According to Einstein and backed up by many theories since, the speed of light is the absolute maximum velocity that any object within our universe that possesses mass can travel at. This speed is just short of a startling 300,000km per second, but interstellar and even interplanetary distances dwarf this number. Travelling to the moon at the speed of light would still take 1.3 seconds, for example, whilst the Sun is 8 minutes, 19 seconds away. Travelling to our nearest interstellar neighbour, Alpha Centauri, would take about four and a half years. It would take 100,000 years to cross our galaxy from one side to the other and two million to travel to Andromeda. Compared to the size of the universe, that's still mucking around in our back yard. For this reason, most works of science fiction employ a faster-than-light (FTL) drive which circumvents the lightspeed restriction. The name is actually a misnomer, as simply accelerating past the speed of light is impossible (it would require infinite energy and would also result in time going into reverse for the traveller, creating significant paradoxes). Most FTL 'cheats' by allowing the traveller to suspend the rules of relativity by instantly teleporting from one point to another by way of wormholes (used in Dune or Peter F. Hamilton's work), or by 'warping' space so the laws of physics no longer apply (this is the favoured approach in Star Trek). Another approach is to have spacecraft move into a parallel universe which is either much smaller than our own but where every point corresponds to a point in our universe. This approach is favoured in Babylon 5, where a ship enters hyperspace, travels a few hundred thousand kilometres, and returns to our universe several light-years from where it started out. Warhammer 40,000 uses a similar realm known as the Immaterium (popularly called the Warp) although the difference is scale is not so extreme, where journeys between stars a few light-years apart can still take days or weeks, whilst traversing the entire Galaxy takes several years. 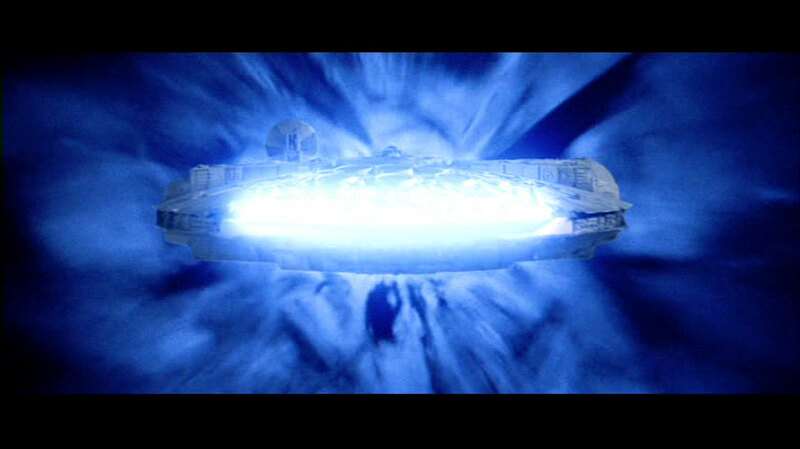 Star Wars mixes the two approaches by having a ship accelerate in real space to lightspeed and is then blasted into hyperspace by the acceleration. All of these approaches and many others are interesting, but tend to ignore a very interesting feature of real-life physics, namely time dilation. As a spacecraft approaches the speed of light, relative time on board the spacecraft slows down compared to the outside universe. For example, a spacecraft that travels to Alpha Centauri and back again at 90% of the speed of light would appear, from the POV of people on Earth, to take roughly nine years to complete its trip. From the POV of people aboard the spacecraft, however, it would take just a few weeks. As lightspeed is approached, time aboard the spacecraft slows to the point where immense journeys that take thousands or even millions of years from the perspective of the outside universe are achievable in just a few years of on-board travel. In fact, time dilation can create incredibly warped effects. A ship that left Earth and could constantly accelerate at 1G would achieve 99.99999% of lightspeed and, as a result, could reach the edge of the observable universe (about 13.5 billion light-years away) in less than a century of on-board time, i.e. within a human lifespan. Of course, this would require a fantastically advanced space drive and some mechanism to prevent the ship from exploding the second it hit any interstellar debris larger than a pinhead, but it is certainly feasible within the laws of physics as we currently understand them. On a more modest scale, ships accelerating to appreciable fractions of lightspeed and flitting back and forth between nearby stars is reasonably realistic and, in fact, is the basis of interstellar travel in Alastair Reynolds's Revelation Space universe. For the stories to unfold in the Revelation Space novels, Reynolds has two storylines proceeding in tandem on different planets, but they are actually taking place in different years. For example, Storyline A is happening in AD 2500 but Storyline B is taking place in AD 2530 on a planet thirty light-years distant. At some point the characters from Storyline A get on a spacecraft equipped with a Conjoiner drive (which allows rapid acceleration to 95%-99% lightspeed) and travels to the second planet, where they arrive in AD 2530 and join in the storyline there. Thanks to time dilation, the journey only seems to take a few months, maybe a couple of years, from the perspective of the first set of characters, and they age accordingly. The Millennium Falcon flies into a Doctor Who title sequence, circa 1976. Bizarrely, very few SF authors seem to pursue this way of handling FTL travel. Mainly this is because space operas love to have multiple sets of characters on multiple planets and it's important that the journeys between the planets take place very quickly and everyone remains in the same temporal space as everyone else otherwise things will get very confusing very quickly. This is a decent enough reason, and is necessary to make the stories make sense. However, it is intriguing that more stories are not written which take into account the lightspeed restriction from the outset. Outside of Reynolds though (and Reynolds does include a back-door FTL method in the Revelation Space books, albeit a method that appears to be inaccessible for humans, and does use FTL in other books), the only author who seemed to rigorously enforce the lightspeed limitation was Arthur C. Clarke (with the sole exception of 2001: A Space Odyssey, and even there the FTL method was retconned out of existence in the sequels). His Rama Cycle of novels had an alien spacecraft travelling at a bit above half the speed of light (taking twelve years to travel the eight light-years from Earth to Sirius, for example), whilst The Songs of Distant Earth has a human-built spacecraft travelling at lower speeds with the crew in suspended animation. Whilst the development of new physics which permits FTL travel is possible, at the moment such a drive appears flat-out impossible. 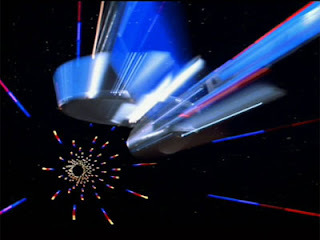 While this should not restrain authors' imaginations from using FTL methodology, it is a shame that more authors do not employ time dilation as an acceptable way of getting characters between stars without dropping dead from old age as certainly that appears to be the only way of realistically carrying out interstellar travel at this time. Pushing Ice and the Revelation Space Trilogy (Revelation Space, Redemption Ark and Absolution Gap) by Alastair Reynolds. Rama II and The Garden of Rama by Arthur C. Clarke and Gentry Lee. The Songs of Distant Earth by Arthur C. Clarke. 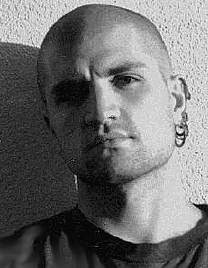 The offending China Mieville pages have been taken down by Facebook (although Facebook never responded to any of Mieville's queries directly), but the ones that George RR Martin has an issue with are still up. Interesting to see if Facebook respond to the complaints there as well. On Thursday I attended the Gollancz Party in London for the fourth time. This event has shot up in size from a relatively small, Gollancz-focused event to a much bigger general SFF get-together with lots of SFF authors, bloggers and editors from multiple publishers attending and talking about books past, present and future. Oddly, that's how James's eyes come out after red eye-reduction is activated. Chilling. Yes, that's James 'Speculative Horizons' Long, Gavin 'Veteran' Smith and Mark 'Walker of Worlds' Chitty, with Gavin doing the steampunk thing. Too many others to mention were in attendance, but it was good to meet Amanda for the first time and to catch up with (new dad) Graeme and a number of authors and publishers. Special mention for Stephen Deas's mighty Ming the Merciless costume, images of which have not appeared yet on the Internet, sadly. Team Macmillan also deserve a mention for all turning up as zombies, and Sophia McDougall rocked a pirate look complete with realistic crow accessory. And yes, I asked about the Rothfuss/Lynch situation (Rothlynch? Lynfuss? ), at which point the Gollancz rep screamed in frustration and dived headlong into the Thames. Or, more likely, replied that Rothfuss appears to be on track for early-ish 2011, Lynch is looking a bit later in the year and (as a bonus) that Morgan has been rolled back until later in the year. I also got a tidbit from Ian McDonald that his next book will be 'madder than the last one', which is saying something. It is now looking very likely that A Dance with Dragons is going to be split for its (eventual) mass-market paperback publication in the UK. A previous commentator suggested that he'd heard from HarperCollins Voyager (who publish A Song of Ice and Fire in the UK) reps that this was the case, and I have been able to verify that this is the current likelihood. A Dance with Dragons currently stands at 1,500 manuscript pages in length (well north of 400,000 words), just short of the 1,530 pages of A Storm of Swords. As previously reported, George R.R. Martin has five chapters left to complete and finalise, and these pages will take the book over ASoS's size. The good news is that, at the moment anyway, the American publishers seem able to publish the book in both hardcover and paperback in one volume with no problem at this size. Voyager are also planning to publish the book in one volume in hardcover and tradeback, but, like A Storm of Swords before it, it will have to be split for mass-market paperback. Take two Song of Ice and Fire books into the shower? Really? That's weird. This news is likely to be of interest to those UK readers planning on holding off on purchasing the book until the paperback comes out for cost reasons, as two paperbacks (at £7.99 each) will be more expensive than a tradeback (£15) or possibly even the hardcover (£20, but likely heavily discounted on release). Apparently (not from official sources) the printers that HarperCollins utilise refuse to publish such a large book in one volume and contractual obligations prevent them from going to a different printer (such as Bantam UK's who put Steven Erikson's 1,300-page paperbacks out with no problem, or Pan Macmillan's, who have no problem publishing Peter F. Hamilton's gigantic tomes). 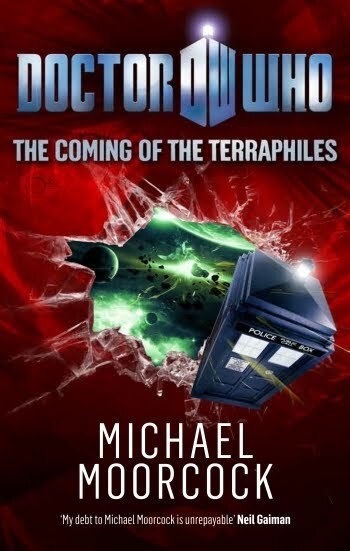 Whilst precedented by the split of A Storm of Swords in the UK, this news is likely to frustrate UK fans of the series further. To reiterate, the American publication of the novel appears to be holding at one volume, and the British initial release will also be in one volume. This applies to the British mass-market paperback release only. Forgot to mention this, but HarperCollins Voyager are also publishing a new edition of A Game of Thrones in the Spring to tie in with the TV series (as Bantam already are). The new edition is more than just a rejacketing as it will feature a whole new typeset. Those with the existing UK copies of Thrones will know that the book has a fairly thick, ink-heavy typeset when compared to the later books in the series. An extremely minor change, but one that is quite interesting anyway. The new edition will also be in the larger 'B'-class paperback. Voyager are also doing a special release of the entire series in e-book format, hopefully before ADWD and the TV series appear. With Caprica continuing its disastrous ratings slide (the latest episode attracted a feeble 718,000 viewers), SyFy appears to be lining up a second Battlestar Galactica spin-off series. They have commissioned a pilot episode for a potential new series with the (hopefully working) title Battlestar Galactica: Blood and Chrome. The new series is set ten years into the First Cylon War, forty-two years before the events of BSG and sixteen after the beginning of Caprica. The main character will, once again, be William Adama, now a young pilot serving aboard the newly-commissioned battlestar Galactica. The new series will recreate many of the sets from BSG (destroyed at the end of filming) digitally, using the high-resolution scans taken of the sets during the filming of the finale. Presumably this will mainly apply to the very large and elaborately expensive sets such as the hanger bay and (possibly) C&C. The new series will take its cue from the Adama flashback scenes in the BSG TV movie Razor, but some retconning appears likely. In Razor we are told that Adama is flying his first combat mission as a Viper pilot (after previously flying Raptors) on the very last day of the war. The series will presumably feature him as a combat pilot much earlier than that. Nico Cortez, who played Adama in Razor, will apparently be considered for the role in the new series but recasting is also possible. Michael Taylor, who wrote the pilot script, and BSG and Caprica helmer David Eick are executive-producing the new series, with BSG vets Bradley Thompson and David Weddle (responsible for many of BSG's finest episodes) also returning. BSG supremo Ronald D. Moore is developing other projects and is not officially attached to the project at this time. BSG composer Bear McCreary is also expected to return, although a deal hasn't been confirmed yet. As far as a timeline goes, the pilot will be filmed in early 2011, but may not air until 2012 if SyFy decide to press ahead with a full series. Apparently Blood and Chrome's commissioning does not necessarily spell the end for Caprica, but with that series' ratings reaching embarrassingly low numbers, it seems unlikely that it will return. A decision on Caprica's future is expected by November 15th. Looks like the balloon is going up! 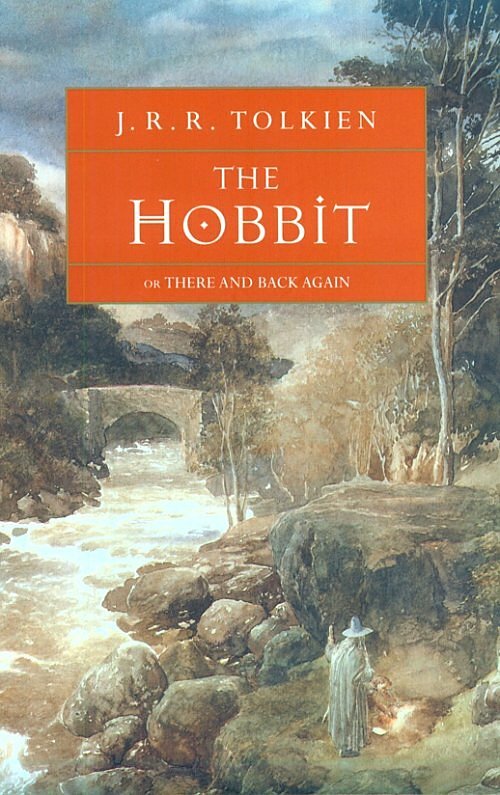 The Walk into Mordor blog has made a valiant attempt to compile a list of the longest fantasy series. The author's criteria was to count only series over 2,000 pages (thus avoiding the vast glut of trilogies), but based on reader feedback even with this criteria his list has still swollen from forty to over seventy series, and still rising based on feedback. 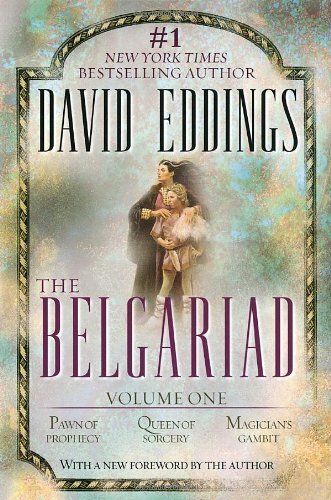 The list's counting methodology is somewhat arbitrary - the heavily interconnected Belgariad and Malloreon are counted as two separate series whilst the mostly stand-alone Discworld books are counted as one - but nevertheless it is a fascinating list. The fourteen-volme Wheel of Time series (counting the prequel spin-off) is actually considerably longer than the thirty-three volumes of Piers Anthony's Xanth series, whilst Discworld's place in the lead isn't that much higher considering it's forty books written over thirty years compared to fourteen over twenty. A Song of Ice and Fire's placing at #32 (at the moment) is surprisingly low, but Steven Erikson's ranking at #7 is definitely surprisingly low, until you realise that it's the most recently-begun series in the top seventeen, showing his rate of output to be quite impressive. Interesting to see how the promised SF list is compiled and how dominant the likes of Peter F. Hamilton are, although I think the forerunner at this time will be the Perry Rhodan series (over 2,500 novellas forming very long and distinct story arcs). At its root, a lot of the subgenre seems to be about the possession and distribution of power and authority, whether that is power over a family, another person, a business, a religion, a kingdom, an empire or a whole world. The clash of those people with different agendas seeking (or avoiding) power drives many works in the subgenre. "Not that mighty from this angle, actually. Oh hang on, that wasn't a euphemism?" 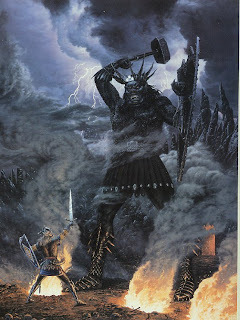 In Tolkien's Middle-earth mythos, the clash of power takes place between the not-always-clearly-delineated forces of 'good' and 'evil', driven by the betrayal of the Valar (god) Melkor/Morgoth against Illuvatar, the creator of the universe. This clash results from Melkor's wish to control the development of the world that Illuvatar has created, Arda. That Melkor is a god with immense power over the world is not enough, he must be the ultimate force in the universe and will not rest until he achieves it. 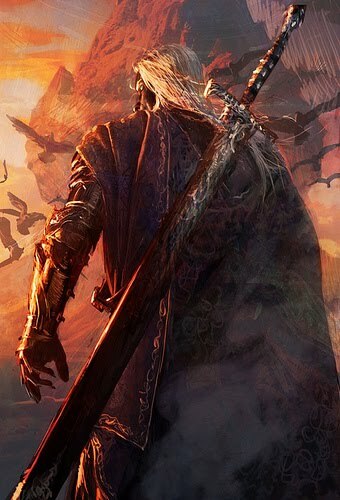 As The Silmarillion proceeds, however, Melkor is continuously diminished in power and stature, starting out being able to challenge Illuvatar himself and later being physically injured in single combat with the elven king Fingolfin. He even loses his godly name, becoming the accursed Morgoth as the book and the War of the Jewels proceeds, before losing all of his power when he is cast into the outer darkness. Morgoth's diminishment and defeat allows his protege Sauron to rise to replace him, and in an interesting contrast his power rises from that of an ordinary Maia (angelic or demonic spirit) to that of a demigod many times more powerful than his former peers, such as Gandalf and Saruman. This leads into the action of The Lord of the Rings, where Sauron's greed for power and authority leads to his own destruction at the hands of the hobbits, beings notably not seeking such status and recognition (though they receive it anyway) in a classic tale of hubris and the mighty being undone by the meek. Where Tolkien falters is with his character of Aragorn, who seeks the throne of Gondor, vacant for over a thousand years, on the basis of his great-great-great-something-grandfather's claim despite Aragorn and his ancestors notably failing to claim the throne in the interim, which could have provided stability to the kingdom and possibly avoided the weakening of Gondor which led to its vulnerable state during the War of the Ring in the first place. The timing of Aragorn's play for the throne seems to be down to dramatic convenience more than anything else. In this regard, Peter Jackson's take that Aragorn (and presumably his ancestors) is reluctant to take the throne due to his fear of the corrupting influence of power ("The same weakness," that Isildur had) actually makes more sense. Aragorn getting the throne of Gondor in this manner has led to accusations of Tolkien favouring authoritarianism, an accusation which has since been voiced against other fantasy authors working in the same field. Certainly this accusation would have stung Tolkien, whose loathing of Hitler and (especially) Stalin is very well-known. This criticism does expose an inherent problem in epic fantasy, namely that the typical faux-medieval settings of the subgenre tend to echo the real political make-up of that time period, which favoured strong leaders, often inheriting their power from their parents (usually the father) rather than the will of the people. Ikea are now doing a nice range of dragonbone chairs at very affordable prices. In this sense epic fantasy tends not to like to challenge the order of the day. Often this is understandable in that worker's revolutions and the enfranchisement of the masses comes from widespread education ("Libraries gave us power,") and employment ("Then work came and made us free,"), which tend to follow industrialisation. Most epic fantasies take place in pre-industrial societies (often centuries prior to industrialisation, assuming a similar development to the real world), so asking why the inhabitants of Osten Ard haven't kicked out both Joshua and Elias and set up the Worker's Revolutionary Front of Rimmersgard is a bit like asking why a popular uprising didn't unseat the Tudors in the 16th Century. The time was not yet ripe. Those secondary world fantasists that do want to engage in this question, such as China Mieville's Bas-Lag books, use an industrialised or steampunk backdrop to explain how the people get to the point of demanding social change. 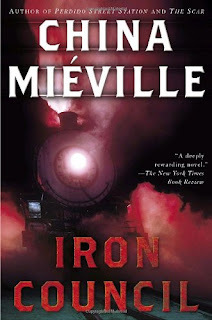 A steam train in a fantasy novel! What the hell is going on here man? This is new! And weird! Still, this leaves the problem that there are many books out there where the principle storyline seems to involve one unelected (tyrannical or benign) dictator being replaced with another, sometimes several times through the course of the narrative, usually on the questionable basis that the new king is better than the old one on the basis of just being a nice guy. 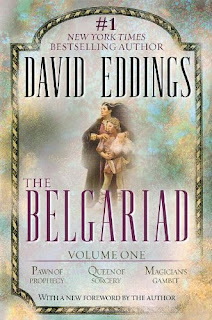 Garion in Eddings's The Belgariad being a typical example, although Lyam in Feist's Magician also falls into the same category. 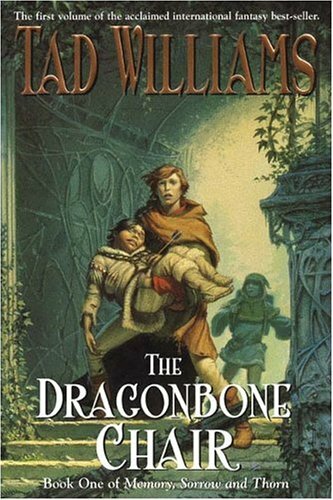 Introducing fantasy to 8-year-olds since 1982. In this sense, Jordan's Wheel of Time is mildly different in that Rand al'Thor isn't that nice a guy as he railroads and bullies the nations of humanity into following him against the Dark One 'for the greater good', developing tyrannical tendencies along the way before being brought back from the edge in The Gathering Storm. This series is also notable for featuring somewhat proto-democratic institutions (such as the Aes Sedai and Whitecloak councils), reflecting the much more widespread nature of education and social developments in the world (the WoT world is more akin to the 17th and 18th centuries, whilst the tech level is somewhat earlier). The series also addresses other types of power and authority in the books, most notably through the controversial character of Elayne Trakand. Three Aes Sedai trapped in a mid-80s music video. The evil of the Dark One knows no bounds. Elayne is the heir-apparent to the Lion Throne of Andor when the series opens, but eventually develops the ability to channel the One Power and is taken into the ranks of the Aes Sedai sisterhood. Elayne's mother, Morgase, is corrupted by Rahvin, one of the Forsaken servants of the Dark One, and neglects her duties, plunging the kingdom into corruption and risking civil war. When Morgase disappears, the Andorans expect Elayne to take her place but instead Elayne spends a few more books arsing around looking for a weather-control magical device before deigning to show up and take on her responsibilities (which seem to involve ruling the kingdom, somewhat confusingly, from her bathtub). Understandably, there is more than some resistance to this idea and a brief civil war results before Elayne is victorious and is crowned Queen. What is ridiculous about this storyline is that at no time does Elayne acknowledge the validity of the complaints voiced against her: that she neglected her duties to Andor in favour of those as an Aes Sedai. As such, it is questionable whether she can serve as Queen when her first loyalties are blatantly not to her people or kingdom, but to another institution. Jordan thankfully shows some awareness of this problem (Elayne's coronation is accepted by many of the high lords of Andor as a peace-restoring measure, but many are unhappy with her attitude), which hopefully will be addressed further in Towers of Midnight. An altogether more comprehensive take on power and authority is undertaken in George R.R. Martin's A Song of Ice and Fire, where it is the primary theme. The Targaryen family has displaced the separate ruling dynasties of the former Seven Kingdoms to forcibly unite the kingdom at gunpoint (well, dragonpoint). When the Targaryens are destroyed and their survivors driven out of the continent, the usurper, Robert Baratheon, claims the throne through a combination of might and a blood-claim dating back several decades. Despite his initial success, the dragonless Robert is unable to hold the kingdom fully together and upon his death it splinters apart, several of the families fighting for control of the whole continent and others taking advantage of the chaos to declare independence for their regions. "All your thrones are belong to us." Reflecting the title of the first book, A Game of Thrones, the reader is practically invited to choose a side and argue the validity of that side's cause (as they have done in person and on message boards for almost fifteen years now): do the Starks have the right idea in returning to their region's former independence from before the Targaryen invasion? 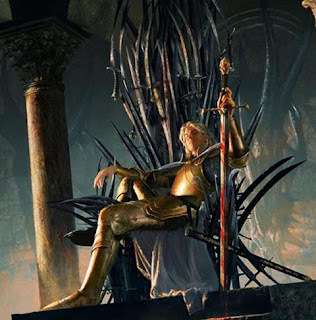 Does Stannis Baratheon, as both Robert's true heir and the heir to the Targaryen family (his grandfather married King Aegon V's daughter) within Westeros, have the right of it, despite being a harsh and ruthless martinet? Or should we be siding with Daenerys Targaryen, the displaced heir to the Targaryen family line, who is marshalling her forces in the far east in preparation for her triumphant (or not) return? More interestingly, Martin does address the role of the common people in this conflict. Whilst the People's Soviet of Oldtown hasn't appeared (yet), the smallfolk have unified under the banner of religion (in this case the Faith of the Seven) to try to stop the war and the violence, something the Faith has been more than happy to help them with (of course, because it restores the Faith to a level of power and authority it has not enjoyed in almost three centuries). "This is my eye and I am judging you! With it! Because that is how I roll!" The role of religion in epic fantasy is thus something of a way of engineering change in a pre-industrial society, which makes it all the more bemusing that it is so rarely addressed in epic fantasy. There is no religion at all in Robert Jordan's world, it plays a minimal role in Raymond E. Feist's Midkemia and is even barely acknowledged in Middle-earth. It falls to Martin, to R. Scott Bakker's Prince of Nothing trilogy (where a man engineers his own recognition as the messiah to seize ultimate power), to Paul Kearney's Monarchies of God sequence and to Kate Elliott's Crown of Stars series to address the matter of religion and how it promotes or abuses its power in a pre-industrial society. Returning to the original point, the changing role of power and authority is a primary driving force of epic fantasy, but the genre's typical settings seem to limit how radical those changes can be, mostly resulting in the person in the chair changing but not the corrupting influence of power that led to problems in the first place (though this observation itself is sometimes the point, as in Martin's series). With the increasing popularity of non-medieval settings and steampunk and industrial fantasy settings, there is an opportunity here to see more flexibility and originality when it comes to the role of power and authority in fantasy. Seattle, 1880. Sixteen years ago the inventor Levictus Blue built a machine to tunnel under the Klondike ice to help mine gold. Unfortunately, the 'Boneshaker' apparently malfunctioned and laid waste to parts of central Seattle, exposing vents of a strange volcanic gas which infested the city and turned the people it touched into the shambling undead. Now the centre of the city is sealed off whilst life returns to normal in the 'outskirts'. Levictus's son, Zeke, is determined to clear his father's name and ventures into the sealed off part of the city to unearth the truth behind the Boneshaker incident. His mother, Briar, pursues him and they find a city of crumbling buildings, tiny feudal empires, airships and pirates holding and hiding old secrets. Boneshaker is the first book in The Clockwork Century, a loosely-connected sequence of alternate-history steampunk novels. It's successors are Clementine and Dreadnought, both already out in the USA. This is alt-history meets steampunk with a splash of the post-apocalypse to it (events in the sealed off area of the city do feel very much like a potential Fallout: Seattle computer game). Nominated for a slew of awards and winning several of them, Boneshaker is one of the higher-profile recent alt-history books to appear. Generally speaking, Boneshaker is a decent but problematic novel. In terms of atmosphere and description, Priest is very successful at creating a deserted, crumbling city and its eccentric residents. In terms of pacing the book is more muddled, with a strong, relentless pace in the first half becoming sluggish and turgid in the latter. There's a little too much mucking around in the underground at the expense of characterisation, whilst the action sequences are confusing and not laid out well. The character-building is also a little lacking, with us spending far too little time with the principle antagonists to really get a grip on who they are and what makes them tick. With the protagonists, Briar comes off very well but Zeke is far too unintelligent and obtusely stupid to make for a sympathetic character. He may only be fifteen, but he is written more like a nine or ten-year-old, which becomes very annoying very quickly. The book is also marketed heavily to feature airships, but they do not play a very major role in events, and those looking for better and more significant airship action are advised to check out Chris Wooding's Tales of the Ketty Jay or Alastair Reynolds's Terminal World. On the plus side, many of the secondary characters are more colourful, engaging and intriguing, such as the steamborg Lucy, Captain Cly and the splendidly-named Swakhammer. The story, although losing its way in the last part of the book, does recover to deliver a creepily effective finale (one which shows rather than tells, and does it well). Priest also provides a detailed postscript revealing what she changed for make alt-Seattle work and why she did it, which is interesting. 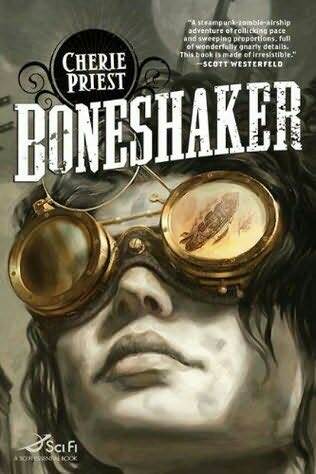 Overall, Boneshaker (***½) is a readable and entertaining novel, despite some issues with characterisation and pace, but is a little lacking compared to some of the other neo-steampunk novels around at the moment. The book is available now in the USA and on import in the UK. Previous iterations of the cover faced a mixed reception, so, echoing Nights of Villjamur, the hardcover will just have a cityscape image. 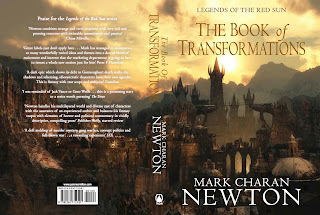 More on the book, including a cover blurb, over at Mark's blog. The good news is that the ropey CGI seen in the first trailer looks like it's been improved on a lot. The bad news is that it's still pretty much low-grade for a modern CGI film, even a direct-to-DVD one made on a relatively limited budget. As mentioned previously, the Dawn of War games from Relic and THQ have superior cut scenes, and I wonder if it wouldn't have been a better idea to have just gotten them to do it. The film looks set for release in late November. 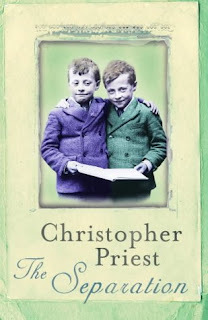 Christopher Priest has turned in the manuscript for his new novel, The Islanders. This is his first book since the 2002 masterpiece The Separation, my favourite novel from the entire decade. The novel currently has an October 2011 release date from Gollancz, although that is likely tentative at this early stage. 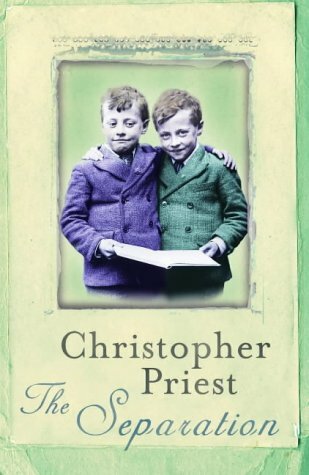 This is a Moorcock novel through and through: exhilarating, funny and deeply peculiar. It’s stuffed with references to both the Whoniverse and his own sprawling oeuvre and Moorcock does a good job of capturing the Eleventh Doctor’s wild-eyed enthusiasm and Amy’s flirtatious tendencies. It’s not, however, for kids. It’s hard to imagine many youngsters (or more traditionalist Who fans) getting wrapped up in a demented PG Wodehouse pastiche. It'll be interesting to see more reviews for this book and see what people make of a literary SF author tackling a tie-in project. UPDATE: SFRevu suggest that the book isn't that great. Looks more like the part, considering some doubts raised by British fans more used to Flynn from his singing days. Copyright Neil Gower and Bantam Books 2010. This map shows the northern coast of Korelri, the continent to the south-east of Malaz Island (here called 'Jakatakan', the old name for when the island's second city of Jakata was dominant) and Quon Tali. Korelri consists of two subcontinents, Korel (or Fist) in the north and Stratem in the south, separated by the vast Aurgatt Range and the Sea of Chimes. Korel itself was one solid landmass shattered into multiple islands and small landmasses by the fall of the Crippled God some 150,000 years before the events of the books. The Malazan Empire has been fighting to conquer the continent against the Korelri Compact for several decades, but has faced vigorous opposition. Due to the events described in the earlier Malazan books, the Empire has apparently taken its eye off Korelri and the Compact now appears to have the upper hand. How the war plays out is likely to be a focus for Stonewielder. Other locations of note on the map: the Stormwall along the north-western coast is mentioned in several earlier books, most notably Night of Knives, The Bonehunters and Return of the Crimson Guard. The island-peninsular of Theft is the location of events in Blood Follows, although curiously the city of Lamentable Moll is not listed. Intriguing stuff. Seeing a full world map of the Malazan world would be quite interesting, but apparently isn't on the cards for the near future (apparently there won't be one in Erikson's final novel in the core series, The Crippled God, due in February 2011). On his blog, Brandon Sanderson has posted a detailed update of his future writing plans. He confirms his main priority will be the final Wheel of Time novel, A Memory of Light, which he plans to begin writing in January. The currently-planned publication date for that book is now March 2012. Following that, Sanderson will write the second and third Stormlight Archive books, followed by the long-planned sequel to Elantris, which has now been prioritised over Nightblood, the planned sequel to Warbreaker. 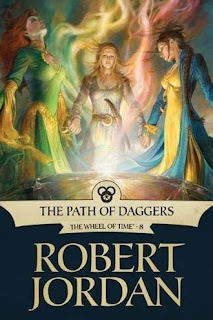 Towers of Midnight: the penultimate Wheel of Time novel, due on 2 November 2010. Alcatraz vs the Shattered Lens: the fourth Alcatraz book, due in December 2010. Scribbler: a short, stand-alone steampunk novel, due in early 2012. A Memory of Light: the final Wheel of Time novel, due in March 2012. Stormlight Archive Book 2: due in late 2012 or early 2013. Interestingly, this makes 2011 the first Sanderson book-free year since Elantris was published in 2005, although Sanderson has not completely ruled getting A Memory of Light out in late 2011, but based the information in the post this seems unlikely. 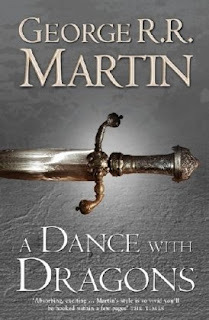 Elsewhere, representatives of Bantam Books have commented on their plans for A Dance with Dragons, the fifth Song of Ice and Fire novel, at the New York Comic-Con, with George R.R. Martin's American editor Anne Groell revealing that only five chapters remained to be handed in for the book and these chapters already exist in draft form. Probably highly unwisely, Team Bantam suggested that the final manuscript could be handed in before Christmas, which would make a Spring or early Summer 2011 publication possible. Notably, GRRM has not commented on this directly (probably for reasons of raising expectations which might not be met, yet again). A Dance with Dragons is currently just short of 1,500 manuscript pages in length (almost half again the length of A Feast for Crows) and is five chapters away from completion. Those five chapters exist in partials, roughs and drafts and need to be finalised, not written from scratch. Martin's publishers have said, but the author himself has not confirmed, that they believe that the book could be completed before Christmas so they can announce a release date in January. Martin himself is in Ireland, the UK and Malta during October to attend meetings with his British publishers and watch some filming of the TV series (which is now halfway complete). He will return to Santa Fe in early November, giving him about six to seven weeks to round off the book to meet Bantam's suggested dates. Whether this is doable remains to be seen. Because of Martins exacting editing and rewriting process, the novel will not require months or years of rewriting and editing after submission (of the sort Patrick Rothfuss has been undertaking, for example). In fact, well over 90% of the book has been handed in, 'locked', copy-edited, typeset and is now ready to go. Both the new maps (ADWD will have the first canon map of the Free Cities) and the appendices are also reported to be complete and ready to go. As a result of the above, it has been suggested that ADWD could be on shelves three months after submission, an acceleration of the five-six months of their previous turn-around times. However, Voyager in the UK is still expected to get the book out a few weeks earlier due to the smaller print-runs they need. Yes, we've been 'close' before and been proven wrong. Let's hope, given signs that a number of other major 2011 releases look like they might be slipping back until later in the year, this isn't the case this time around. 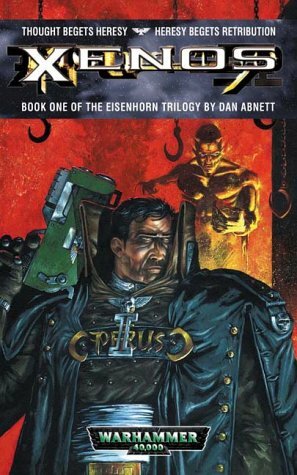 Gregor Eisenhorn is an Inquisitor of the Ordo Xenos, charged with exposing and exterminating heretics, mutants and aliens who pose a threat to the Imperium. On the unwisely-colonised planet Hubris, where the population waits out immense periods of darkness in cryogenic suspension, Eisenhorn decisively concludes a six-year manhunt for the traitor Murdin Eyclone. But the elimination of Eyclone raises new questions and hints at fresh conspiracies. Eisenhorn and his retinue have to tackle rival factions in the Inquisition, followers of Chaos and inscrutable alien creatures as they follow the investigation to its bitter, and exceptionally violent, end. Thankfully not the present cover. Xenos is the first book in Dan Abnett's Eisenhorn Trilogy. 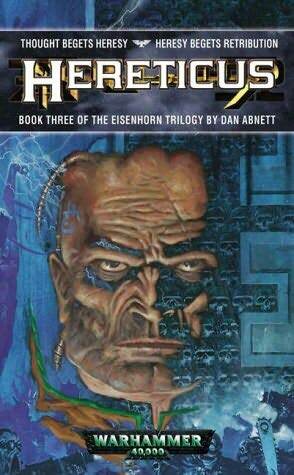 This trilogy is set in the Warhammer 40,000 universe but, as with many series in this setting, is self-contained. For example, the Sabbat Worlds Crusade that features in Abnett's Gaunt's Ghosts series is set many thousands of light-years away and over 500 years later in the setting's continuity. 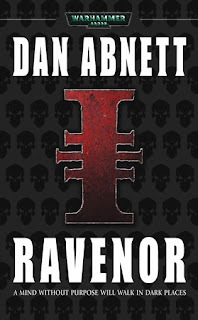 In fact, not just the immediate setting but also the subgenre is different: whilst Gaunt's Ghosts is a war series focusing on the lives and activities of soldiers, Eisenhorn is detective SF (I'm tempted to say more in the line of Richard Morgan's Kovacs books, but Eisenhorn predates Kovacs by over a year). It's a much smaller cast and a tighter focus, told in the first-person from Eisenhorn's POV. Whilst the POV structure initially appears limiting, Abnett cleverly employs it to give hints to the reader of things not being as they appear. 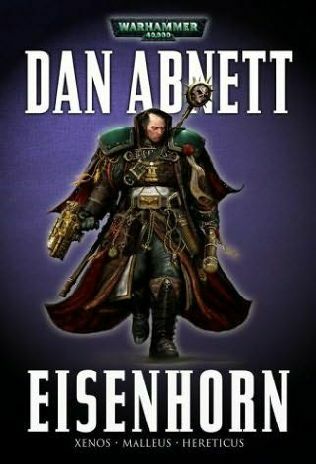 Eisenhorn's blind confidence that he will always do the right thing is called into question by his actions, meaning that his actions and motivations have to be carefully scrutinised by the reader. 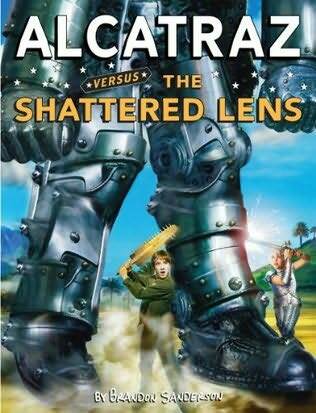 There are also some good SF concepts being explored in this book. From the complex day/night cycle on Hubris which the colonists are determined to overcome in the face of common sense to the dizzying 'tetrascapes' the alien saruthi employ as meeting places, there are some cool hard SF ideas being played with here. Abnett also continues to give good battle. Whilst large-scale war scenes are not the order of the day, there are some solid action sequences. Abnett also gives us our first look at the Space Marines in action in his work (the Space Marines play no role at all in Gaunt's Ghosts) when Eisenhorn has to team up with an Astartes of the Death Watch chapter to handle a particularly dangerous part of the mission. 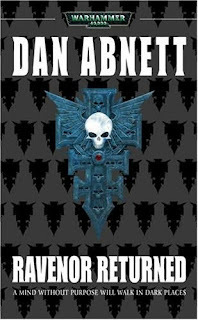 This is an earlier novel for Abnett, so lacks some of the polish of his more recent work, but he handles the shift in tone and subgenre very well. 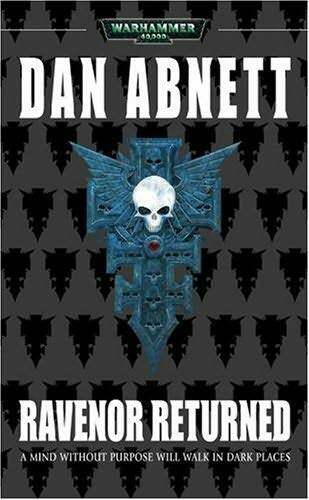 Xenos (****) is a solid SF detective novel. 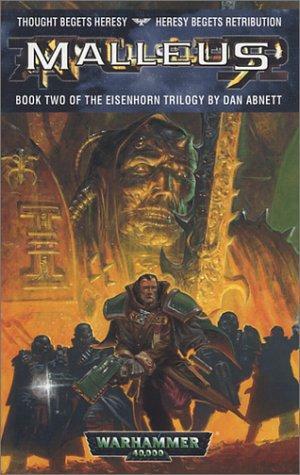 It is available now in the Eisenhorn omnibus (UK, USA) along with its two sequels and two related short stories. 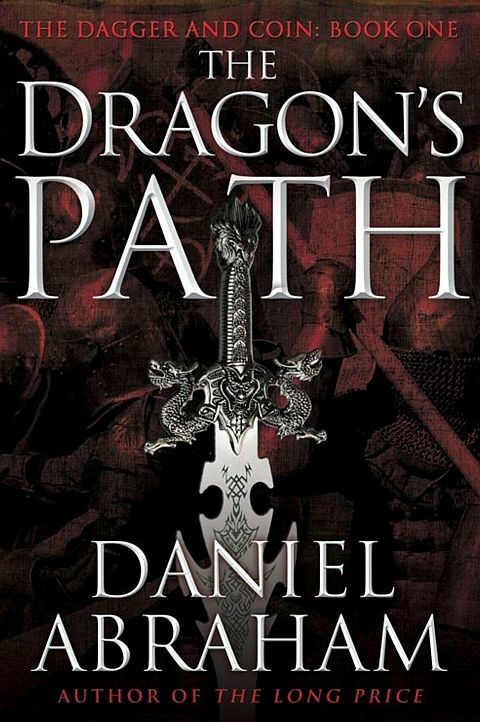 Courtesy of Jussi at the Westeros.org forum, here are the covers for Daniel Abraham's two 2011 releases. Not bad. Possibly a little generic. 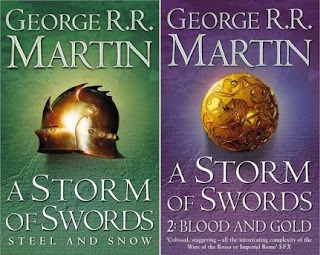 The UK fantasy market is oversaturated with various brown-shaded covers featuring swords. It's not bad, it just runs the risk of getting lost on the shelves. 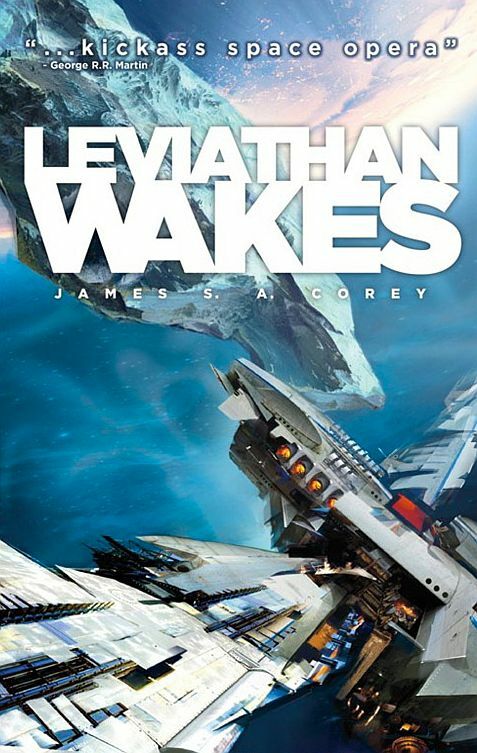 Next up in June is Leviathan Wakes, the first volume of The Expanse. Daniel Abraham and Ty Franck are co-authoring this under the pen-name James S.A. Corey. This cover is quite nice, and puts me in mind of those excellent 1970s and 1980s SF covers by the likes of Peter Elson. Sounds like it could be old-school space opera fun. Deadline is reporting that Peter Jackson is all set to go to direct the two Hobbit movies. 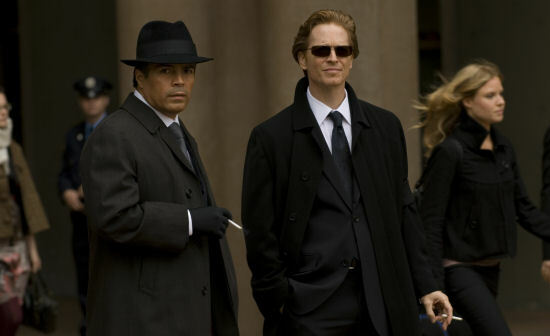 Warner Brothers is apparently going to shoulder the financial burdens of the film that chaos-stricken MGM cannot handle, to the tune of $500 million for two films in 3D, to be released in December 2012 and 2013. Production now looks like starting in January 2011. Sounds good and Deadline are usually pretty accurate with their stories, with the caveat that nothing should be fully believed until the other industry-watchers start reporting it. A major hurdle still to be cleared is the ongoing dispute between the film-makers and the unions, with the film-makers revealing they are looking at five other countries as alternate filming locations (including Canada). Meanwhile, Warner Brothers have also hired Zack Snyder to direct their new Superman film. Snyder, the director of 300 and Watchmen, will start work on the movie next year. He will be working from a script by David Goyer and Christopher Nolan, the team behind the new Batman films, whilst Christopher Nolan works as a producer on the project (Nolan himself is getting work on the third Batman picture underway). Little else is known, except that Snyder claims that Brandon Routh, who played Superman in Bryan Singer's Superman Returns, is unlikely to return in the title role. Oh, and General Zod is current front-runner for the main villain (good call; Lex Luthor is great, but overused). An interesting and unexpected choice. Watchmen had a mixed critical reception and was only a modest box office success, whilst both it and 300 relied to a degree on the director's trademark slow motion, visceral and violent style, which would not seem an immediate fit for Superman. Interesting to see how this works out.